This article was originally published in the Aug. 14, 2016 edition of the Sun. Art and creativity allow children to express themselves, foster a sense of self-confidence and broaden their horizons. 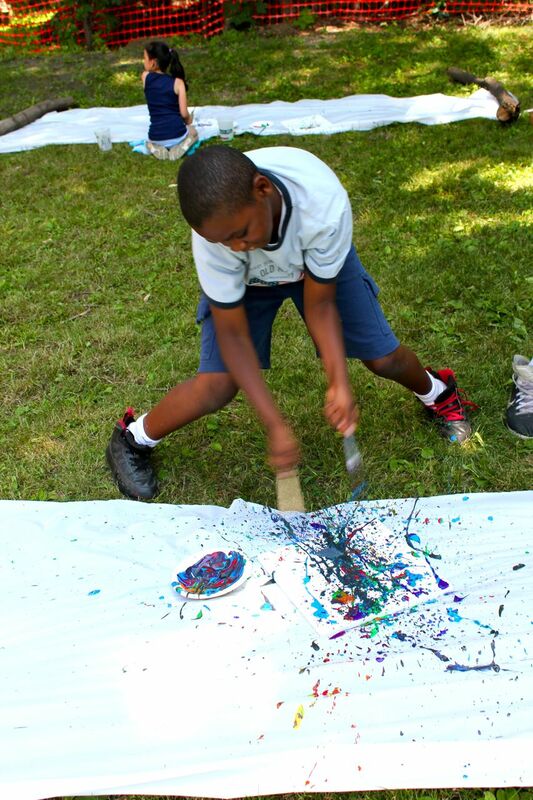 At Main IDEA, a weeklong summer day program in Main South, a team of volunteers and teachers is invested in the positive impact art can have on individuals, especially at-risk youth. 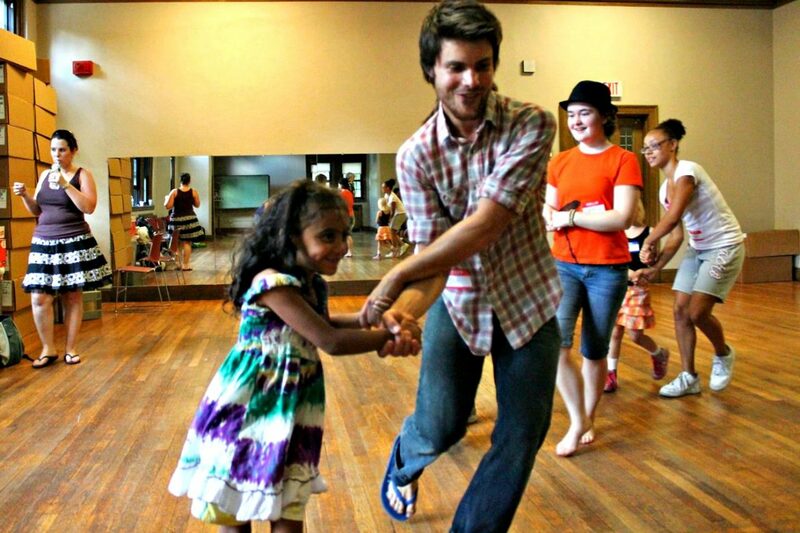 Main IDEA is a weeklong summer arts education program now run out of Clark’s Atwood Hall. Parent-turned-volunteer Eve James is a Main IDEA believer. She first heard about the program six years ago when her children, Isiah and Kara, came home from Jacob Hiatt Magnet School with fliers trumpeting a new summer program. Kara was a year too young at the time, but James registered Isiah. “Free is hard to come by and camps are very expensive,” she said. 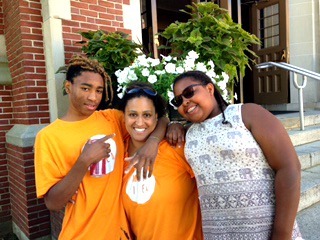 Isiah, now 15, came to Main IDEA with ADHD and other behavioral issues, and on the second day of his first summer his behavior prompted a call to his mother. By the time James arrived at the class, though, teachers had already handled the issue and helped her son. Isiah, Kara and Eve James are all believers in Main IDEA. Isiah went on to receive an award for art that first week. James even recalls the art and dance teachers having a good-natured fight over who could give him an award. Seeing her son’s boost in self-confidence, she began to cry at the award ceremony. “Every year he went back, he got better and better,” James said. After graduating from the program, Isiah became a counselor-in-training while Kara, now 11, still participates in the program. 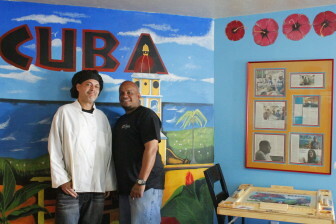 Chef Louis Torres, left, and waiter Rey Ortiz are in recovery and proof of the impact Cafe Reyes can make. James was so impressed by the impact Main IDEA has had on her children that she became a volunteer herself. “I feel as though my family has become part of their family,” she said, adding that the “excellent teachers” make Main IDEA what it is. James is so dedicated to the program that she took a week off from work without pay to volunteer at Main IDEA. 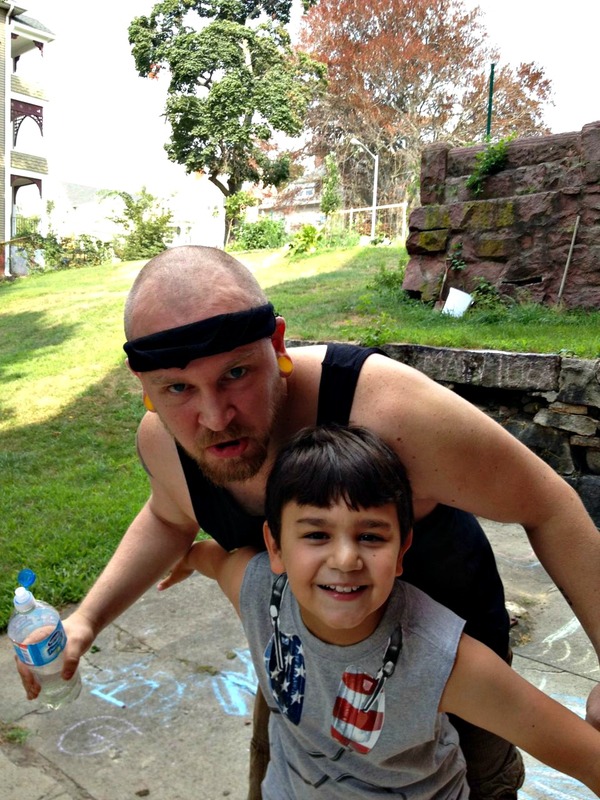 While at Main IDEA, Isiah gravitated to the visual arts and dance, particularly breakdancing. This year, he’s planning to attend a music production camp. “His experiences at Main IDEA really pushed him toward music,” James said. Kara, meanwhile, enjoys creative writing. 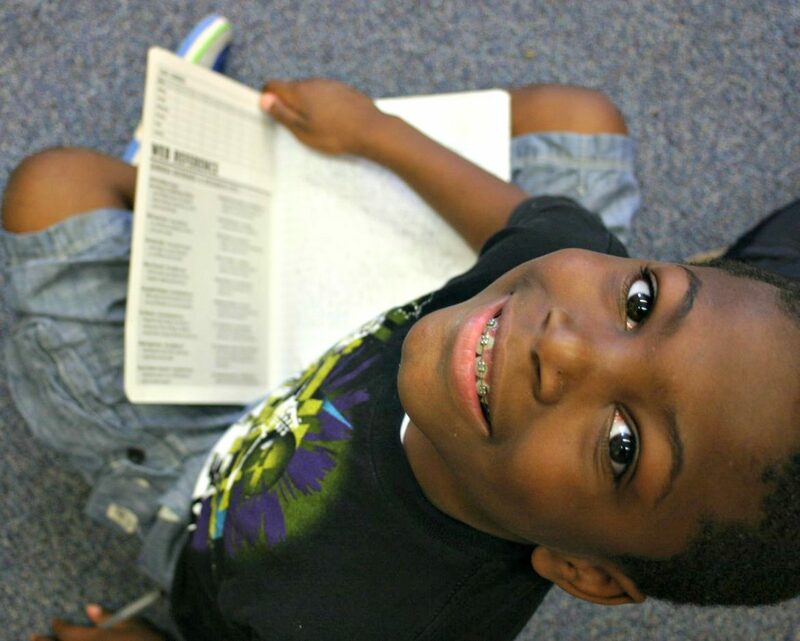 There are several disciplines in which Main IDEA kids can find inspiration. 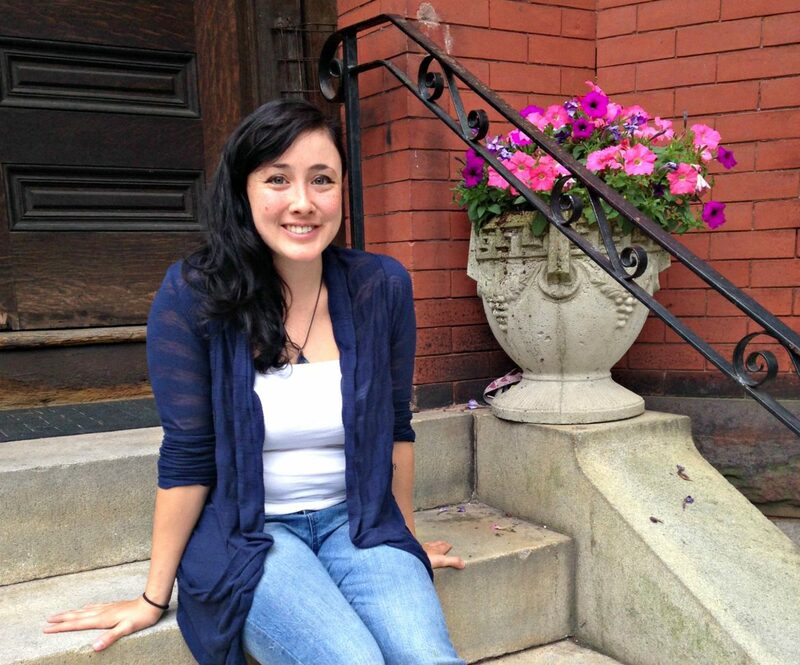 As a volunteer, James said she focuses on teaching students the value of good manners. From time to time she even tries her hand at some of the activities. “I go to the dance classes and try to do the break dancing, but I am almost 40 so it does not always work,” she mused. 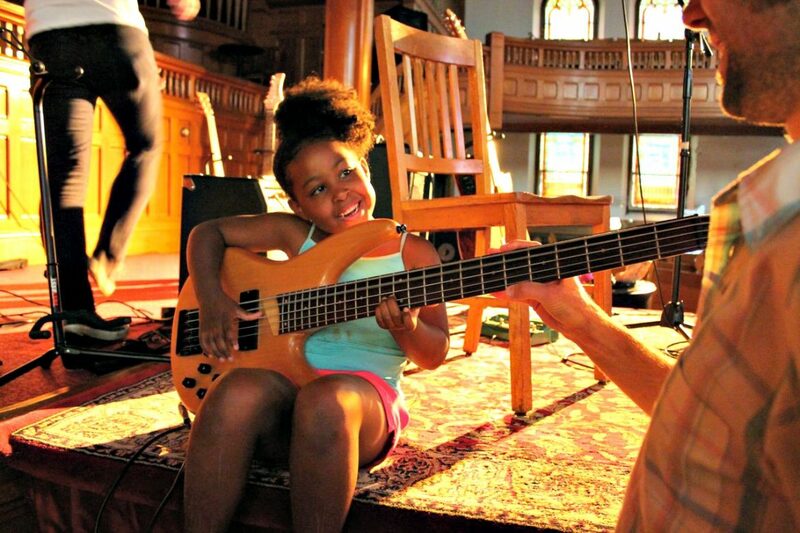 In July 2011, local artists attending The Woo Church at 875 Main St., brainstormed a way to give local children — particularly in the Main South community — free access to art classes. Their dedication to this idea led to the first Main IDEA art day program, which started with 10 children and 15 volunteers. Over the years, the program has grown to 30 to 40 volunteers serving 50 students. As interest in the program increased, so did the need for a bigger facility. This year, Main IDEA used Atwood Hall at Clark University. “We wanted to make something accessible and safe for the kids in our neighborhood,” said Main IDEA Summer Program Director and co-founder Joy Murrieta. 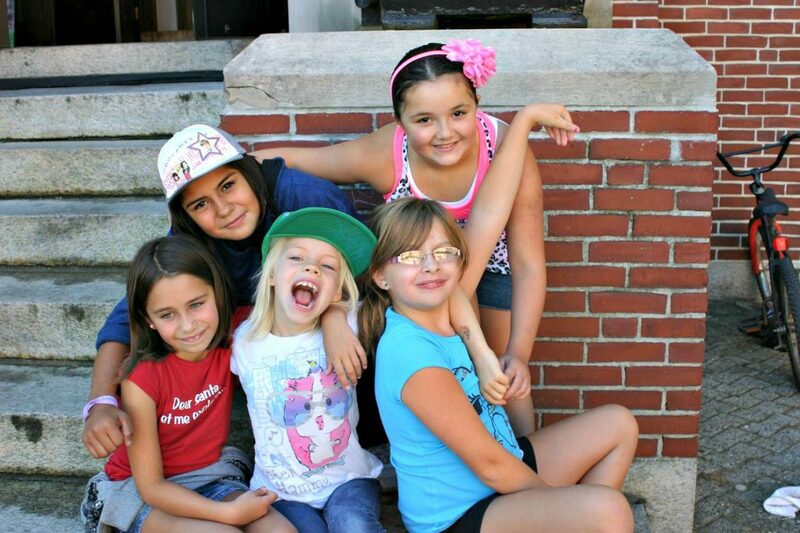 Any child in Worcester ages 8 through 12 can apply for the day program; however, priority is given to residents of Main South and returning students. Through a team of volunteers and donations, Main IDEA is able to provide these lower-income students with a week of art classes, events and lunches, all free of charge to the children. “They believe in us, they believe in the city,” Murrieta said of the program’s benefactors. During hard economic times, art programs have historically been the first cut in public schools. Through Main IDEA, children whose families may not otherwise be able to afford such opportunities are exposed to drama, music, creative writing, visual arts and dance. Murrieta said, even more than an extra educational outlet, the arts can help children who are dealing with behavioral issues. This year’s Main IDEA summer program, which took place in the first week of August, served 55 children, while leaving 20 kids on a waiting list. The goal, Murrieta said, is to fund the program enough to not have to cap enrollment and to be able to expand it to more than one week per summer. A full-summer program, paid staff and after-school programs are only some of the advancements Main IDEA’s Board of Directors has on its wish list. Clark University and WPI have established student internships with Main IDEA. In addition to building relationships with higher-learning institutions, the team at Main IDEA continues to seek primarily financial support from local businesses. Murrieta said the additional financial backing is crucial to developing continuity for the student who, perhaps, finds they have a passion for music but whose family can’t afford music lessons once the program is over. “They can’t excel after this program unless they have accessibility to expensive art programs,” she said. While the program is free for attendees, it costs about $100 per day per child to administer the camp, Murrieta said. Rivera said she noticed the teachers seemed genuinely excited to instruct the children and the students seemed very engaged. “You could tell that they were very excited to be there,” she said. That excitement is demonstrated by the number of repeat students that Main IDEA has, as well as the number of students who later become volunteers or teacher’s assistants. For Rivera, Main IDEA is also an example of how a community can be positively changed through artistic talent. Following this theme, a fundraiser for Main IDEA will take place at Pow!Wow! Worcester, an arts festival taking place in downtown Worcester from Aug. 26 to Sept. 4. “All you need to do is have a desire to help,” Rivera said. “Have a passion and do it.” The councilor said she’s very proud of the work being done at Main IDEA and would like to see the program grow. “I hope that people will have the opportunity to look into the program, see all the good work that is being done, and hopefully support it.” she said. In a world where so many art classes and summer camps are expensive, the word “opportunity” is very important to children and families who cannot afford such programs. For six years, Main IDEA has given lower-income children and at-risk youth in Main South the opportunity to learn about the arts and creative expression. More than that, it has given children the opportunity to find their own sense of self-confidence and to shine. Those interested in volunteering for Main IDEA or registering their child for future programs can visit http://www.mainidea.org/. Monetary donations can also be made on the website.